During the summer of 1990, I made numerous trips to Cherry Park in San Jose, California, to play some of the best pickup basketball in the Bay Area. It’s where you learned toughness playing against grown men, were challenged playing against former and current college players and high school stars, and dealt with pressure to win since a loss meant you wouldn’t play again for hours. 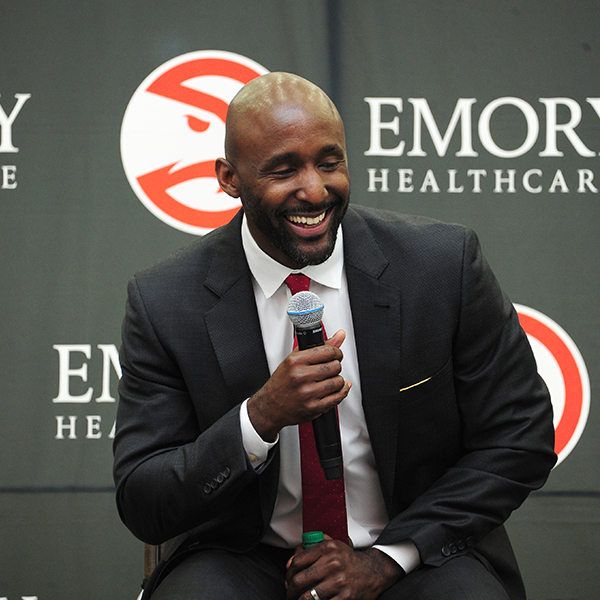 It’s also where I first played against a quiet and athletic 14-year-old kid named Lloyd Pierce, now the head coach of the Atlanta Hawks. Some NBA fans probably have asked, “Who is Pierce?” after the former Philadelphia 76ers assistant coach landed the Hawks job on May 11. Truth is, nothing has ever come easy for “L.P.,” who went from playing against grown men at the playground to being overshadowed in his college backcourt by Hall of Famer Steve Nash to paying his dues as an assistant coach in college and in the NBA before being announced as Hawks head coach during a news conference in Atlanta on Monday.